In 1925 Salem’s Wilfred LeBlanc lived at 70 Palmer Street. From there, you could see Mr. Dumas’ Coal & Wood Yard, which was situated where the club is today. Alfred Dumas had many friends, including LeBlanc, who would hang around his office after work to have a little nip and play cards. LeBlanc and his friends were boat owners and this gathering soon became more of a social boating gang. Soon thereafter, Fred Lavoie started a boat yard which is still in the same place we now have. Mr. Dumas had several garages and horse stalls located where the lockers now reside. Around 1931, Wilfred LeBlanc and Joseph Gagnon realized the growing interest in boating and the seed was planted to form a formal yacht club. At that time there was only a granite pier and one float to the left of the old runway which was made of greased wood skids for hauling boats into the boat yard. 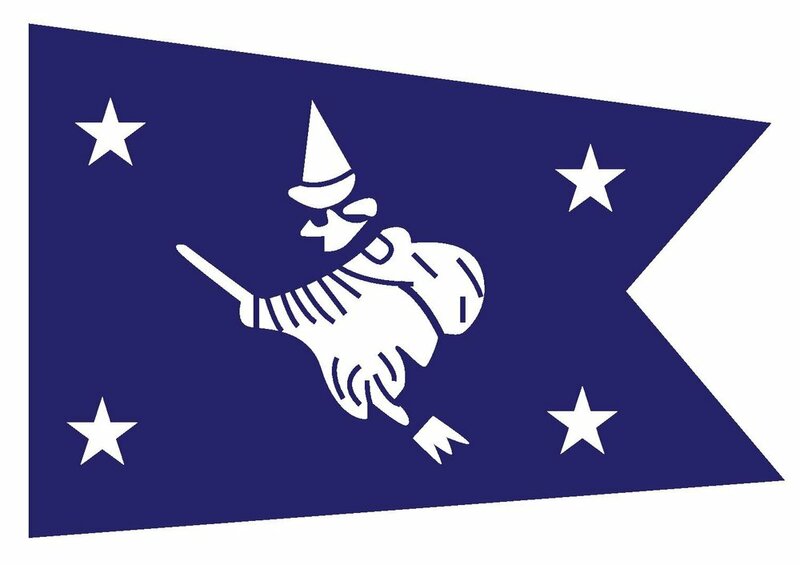 “In 1926 we talked about organizing a yacht club. We talked to Mr. Alfred Dumas, the owner of this land then, plus all the sheds. He bought us a large chicken coop. We started to have our meetings with about a dozen members. We elected Mr. Joseph Gagnon our first commodore, and about one or two years later he died. I was elected as the second commodore and I retained the job for about five or six years. October 20, 1932 I went to the City Hall and got a permit to build our second club. We started to build as soon as we could, and by around Christmas we started to occupy the club and do alot of finishing. I had plenty of help and I enjoyed it. The time was during prohibition … we paid 25¢ a month for dues and we had close to $1000. The club frames, floors and studs were all second-hand lumber, plus the roof. But all the trimmings, shingles, and roof was [sic] all new materials. The cost was about $900. Four or five years later we had a fire one night in the club from the coal stove we had for heat. It cost us more to repair it than it cost to build it. 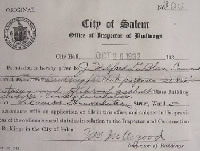 The City of Salem issued a building permit on October 20, 1932. The first building was constructed at a cost of $597.90 for materials and labor.